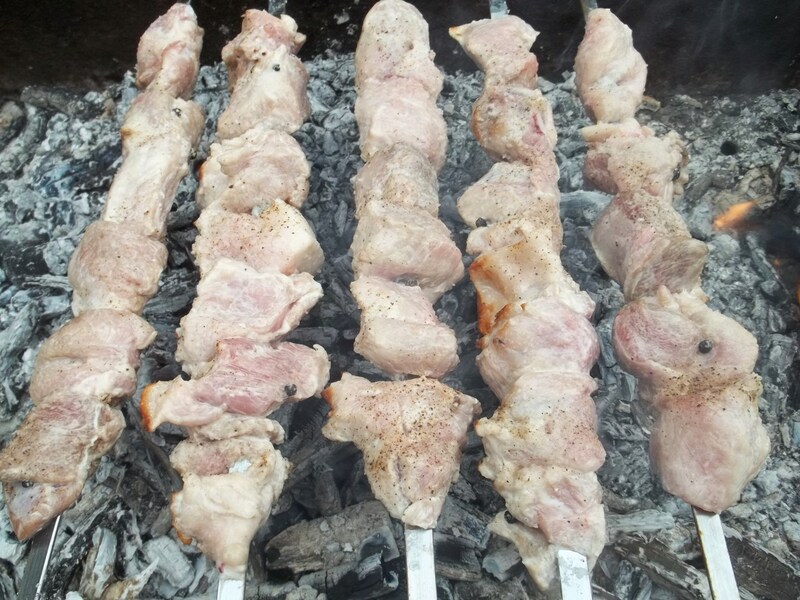 Barbecued meat is very popular in Georgia both as a family meal and also at feasts and celebrations. 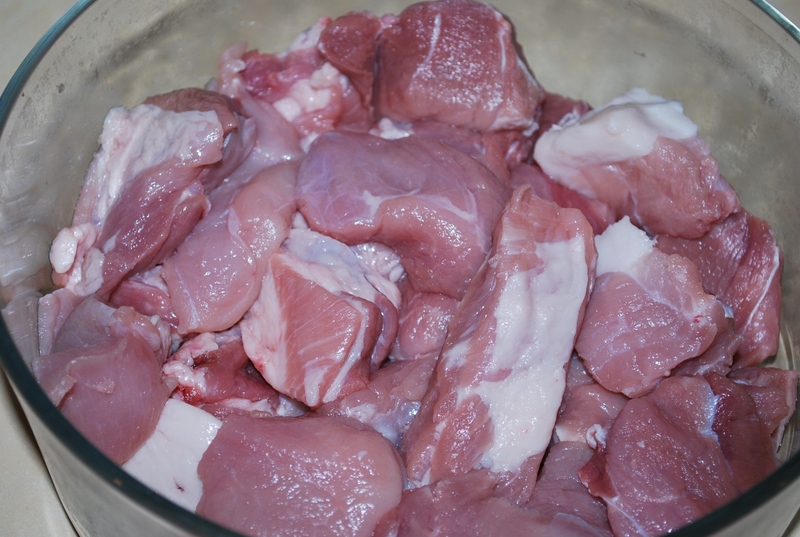 Pork is the most popular meat, followed by chicken. 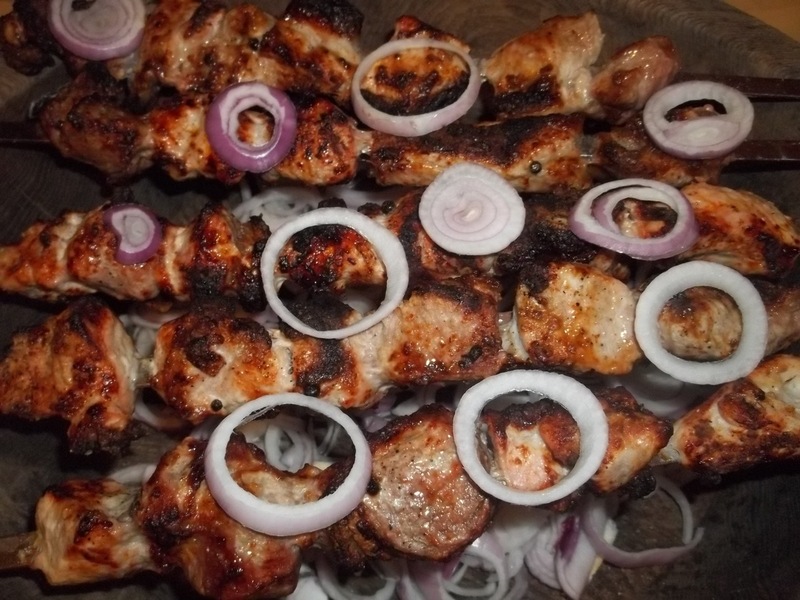 In this recipe we show how to prepare a matsoni marinade for barbecued pork. Matsoni (Georgian: მაწონი) is a fermented milk product very similar to yogurt. It is smooth and creamy with a mild, slightly tart flavor. Popular in Georgia and throughout the Caucasus region it is rich in mineral content, protein and calcium and renowned for its health giving properties. Ingredients: 1.5 kilos of slightly fatty pork, 2 heaped tbs of matsoni (or sour cream), 2 tbs of white wine vinegar, 4 bay leaves, 1 tbs of black peppercorns, coarse salt, 3 red onions, and 15 grams of fresh parsley (for garnish). Preparation: Cut the meat and add to a bowl. Slice and add 1 red onion. 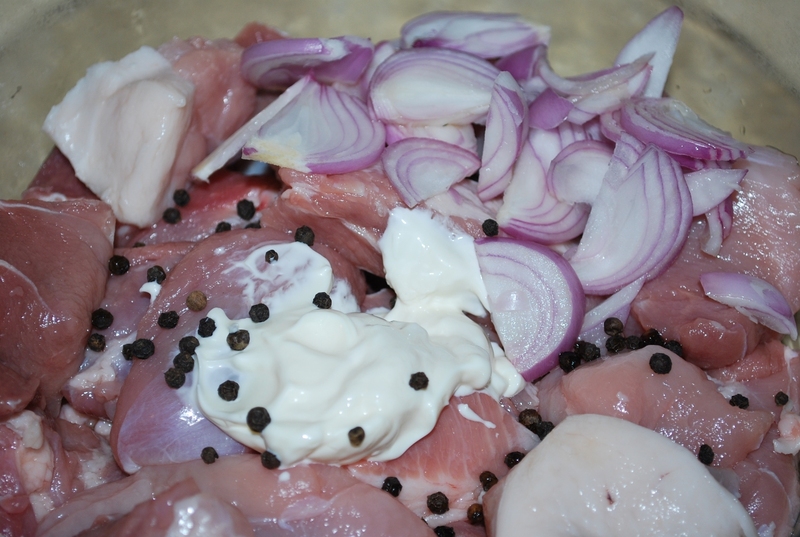 Add 2 heaped tbs of matsoni (or sour cream), 2 tbs of white wine vinegar, 4 bay leaves and 1 tbs of black peppercorns. Squash and mix the ingredients by hand. Cover the bowl and refrigerate overnight (for at least 4 hours). 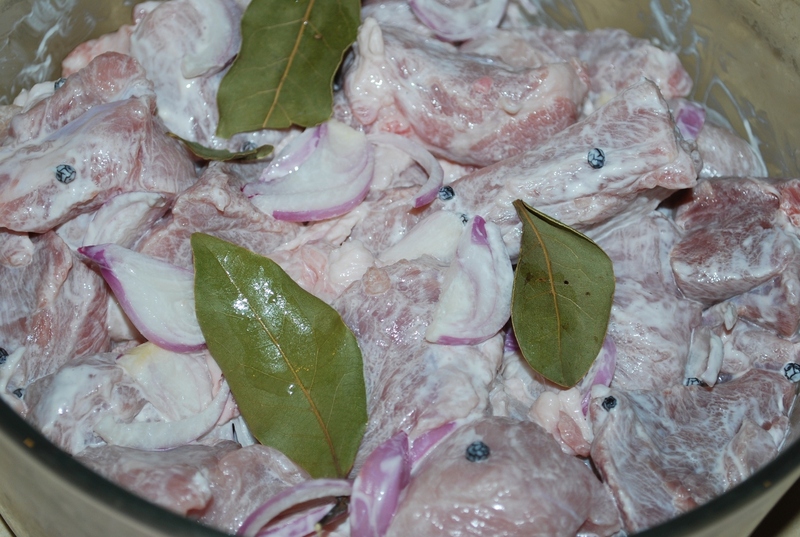 The matsoni will soften the meat. 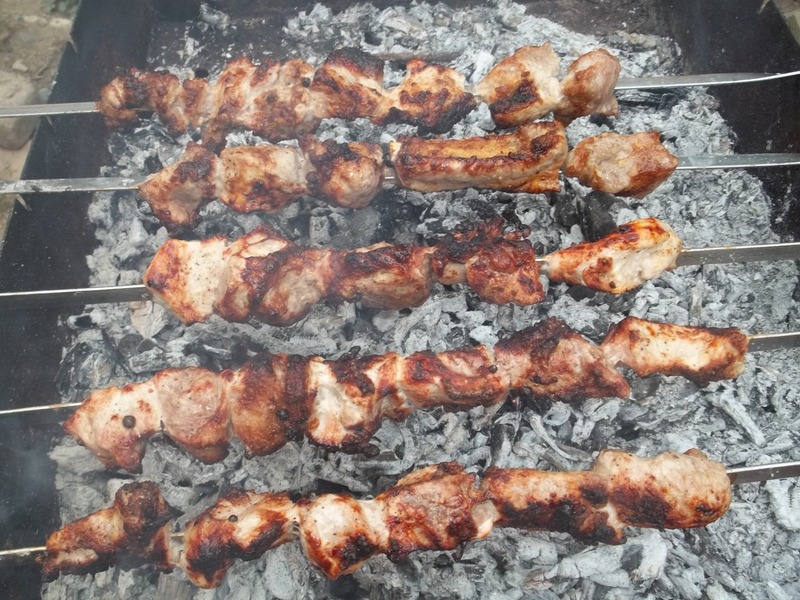 When ready to barbecue, remove the marinated pork from the refrigerator and thread the individual pieces onto skewers (Georgian: შამფური). Sprinkle the meat on all sides with coarse salt. Make sure the barbecue is not too hot. The softened, marinated meat will cook quite quickly and the skewers will need to be turned frequently to ensure the meat cooks evenly. 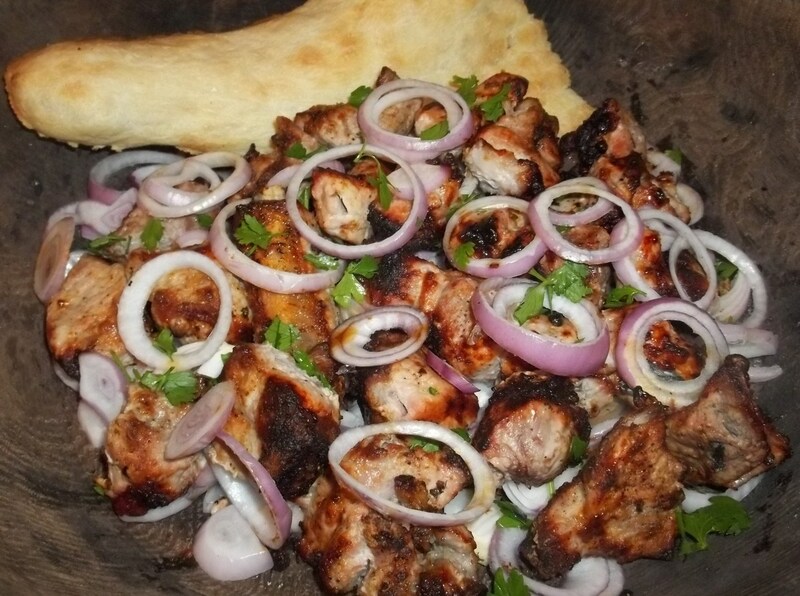 In Georgia, a piece of bread (shotis puri) is used to remove the meat from the skewers. The bread absorbs some of the meat juices and is eaten with the meat. Serving: Garnish with two sliced red onions and chopped parsley. 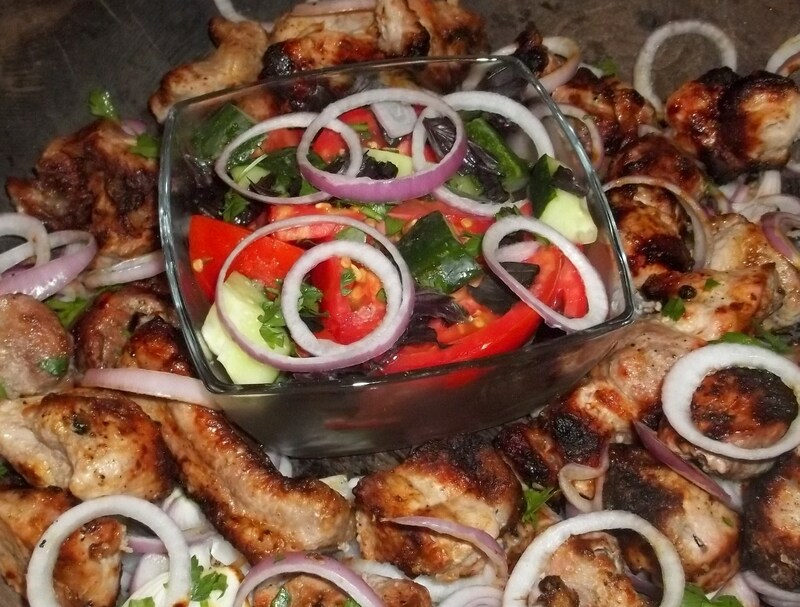 A salad is usually eaten with the barbecued meat. Click here to see our recipes for Georgian salads. 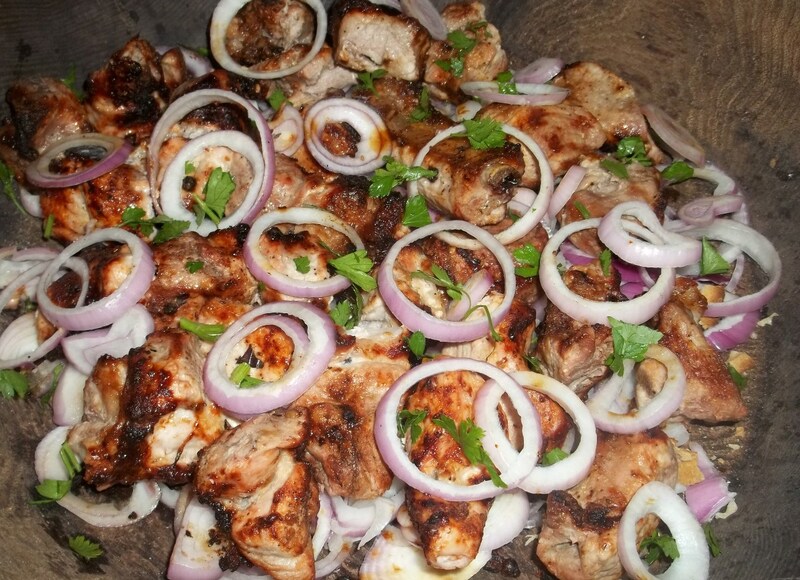 Enjoy your Barbecued Pork with Matsoni Marinade! Wonderful marinade. I imagine you could use greek yogurt also. Is this Ochakuri? I had a dish by that name in Batum and have been looking for the recipe ever since. Looks a lot like this one.